We went back to the drawing board to improve last years Virus SL with this hot new design. 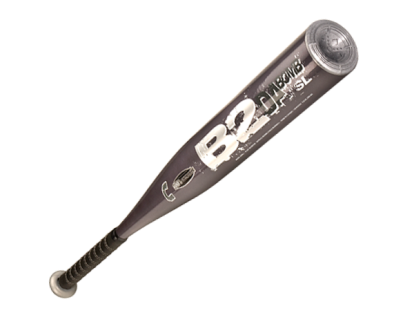 The B2has dynamically tuned bending to minimize handle vibrations for a great feel, soft barrel and maximum performance. Plus, Combats Variable Stiffness Technology produces a bigger sweet spot to take performance and feel to a new level. It has taken three years and thousands of hours of lab and field testing to design a bat worthy of the B2 logo. *The -8 drop is optimized for durability and performance with ultra long barrels for bigger players. The -10 drop is optimized for durability and performance with extra long barrels for smaller players. Weight 20oz. 21oz. 22oz. 23oz. 24oz.